Your donation can save the life of a kill shelter animal. 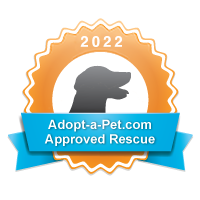 Second Chance Chi is a 501c(3) non-profit animal rescue and pledging club of Chihuahua and animal lovers teaming up with non-profit rescue organizations to rescue, foster and re-home animals in hi-kill shelters. Our sole purpose is to try to raise funds to rescue animals in hi-kill shelters and to donate to non-profit organizations as well as help in the rescue, foster and re-homing process of these animals that deserve a better life than they have. They do not deserve to die in a hi-kill shelter just because no one cares for them and anything we can do to help we will do. All donations will be used to rescue dogs in hi-kill shelters and to pledge on the rescue and vetting of urgent and special needs animals at the end of every month to a non-profit rescue organization or used to help pay for transport fees for a Chi in need as well as help us to further our efforts to do what we can to rescue these lovable and precious animals that deserve so much more. This is our general fund donation page. This is our most important fund as this is our everyday operating costs. Donations to this fund pay for our daily activities from animal adoption to office supplies. This Donation page is for Second Chance Chi Rescue. If you are donating to a rescue we provide services to you MUST use the paypal donation button on their rescue page or applications.